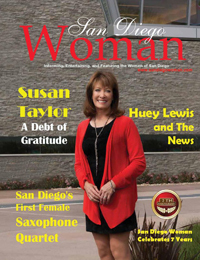 San Diego Woman Magazine was started back in 2007 with a simple idea and a ton of enthusiasm. Almost eight years later we continue on with many changes, but even more enthusiasm. The Women we have met over the years and those who have graced our pages have continued to amaze and enthuse us even more.